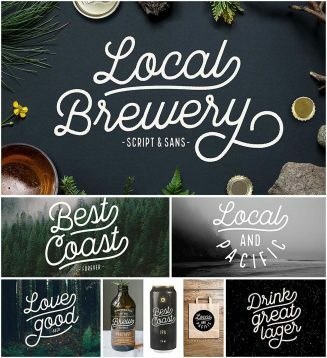 Introducing Local Brewery font family – vintage inspired fonts for creative designs. For personal use. Tags: handwritten, hipster, rough, sans, script, swash, textured.